Artificial Christmas trees are becoming more popular each year. They are easy, only need to be bought once, and aren't messy like real trees. Some people are allergic to real pine, so an artificial Christmas tree is a nice alternative. The reason fake trees have grown in popularity recently is due to their realistic look. Many trees are made in shapes, sizes and colors with materials that simulate real pine needles better than ever. Just as pine trees come in different colors, so do artificial trees. And artificial trees come in colors other than green, too. The different types of pine inspire the greens of different fake trees. Some trees are lighter green, some brilliant green and others with dark green needles. Sometimes, the stem of the tree will be green as well, and in more expensive trees, the stem will be brown (more closely simulating a real tree). Some people choose a non-traditional color, such as pink, blue, red or clear. 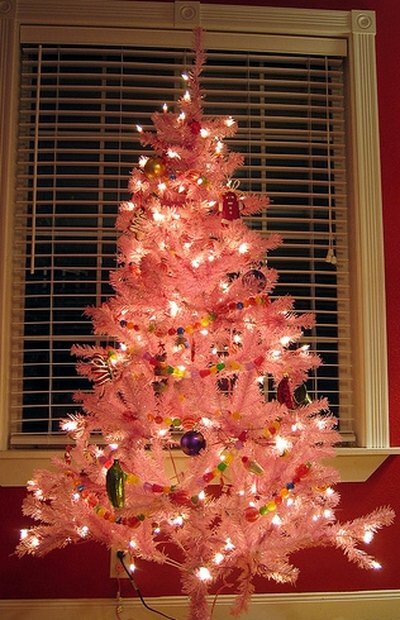 Oftentimes these will be second Christmas trees in the home, put up for fun, such as a pink tree in a young girl's room. Or, college students in dorm rooms choose them, or people with second homes where they won't spend Christmas but will visit during the holidays. White is a popular color for fake trees also, because it represents snow. Sometimes, white is added over the green to make it look as though snow was still sitting on the branches (often called flocked or frosted trees). But, trees that are completely white exist as well. 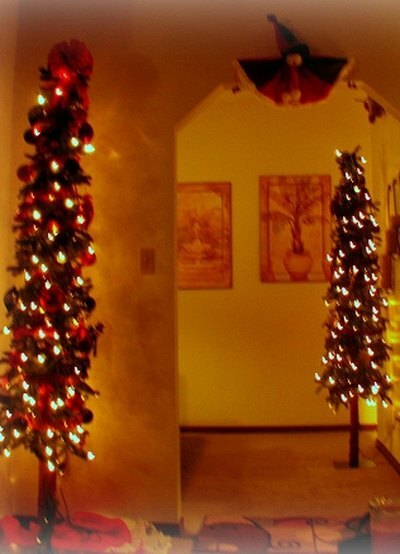 Artificial trees range in height from 18 inches to 18 feet. The smaller trees are often used as secondary trees, placed on hall tables, an entryway or a home office. These trees also show up in workplaces on front desks, or a teacher may put one in the classroom. It's easy to find a tree that fits in your home. Instead of wondering "will this fit?" and possibly having to trim the top at home, you'll choose exactly how tall it is when you buy it. Fake trees range in width also. Just as some pine trees are slimmer than others, some artificial pines are slimmer than others. Often, trees are slim because they are cheap, but even good-quality trees can be slim, depending on the type of tree they represent, such as the Burberry fir or Regency evergreen. The shape of the tree varies along with the size. 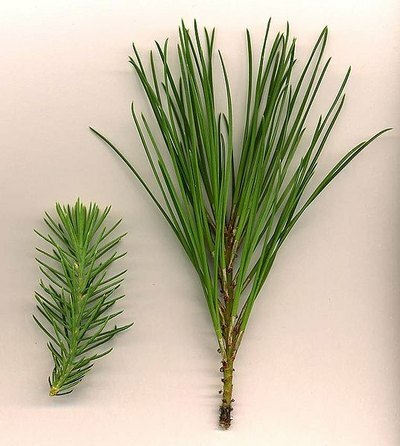 Whether the tree is short or tall, skinny or fat, the branches and needles could appear in different shapes and sizes. Some trees will have a mixed-tip branch, which means that the branch has a cluster of smaller branches at the tip that fan out and create coverage. A Glacier pine is an example of this. Other times, such as with the Regency evergreen, the branches are fanned downward. The differences mean that from afar, the tree will look more pointy or disheveled or more rounded and clean. Lighting for artificial trees comes in three types: non-lit, pre-lit and fiber-optic. A non-lit tree is just the tree, resembling a real tree purchased from a tree-farm. 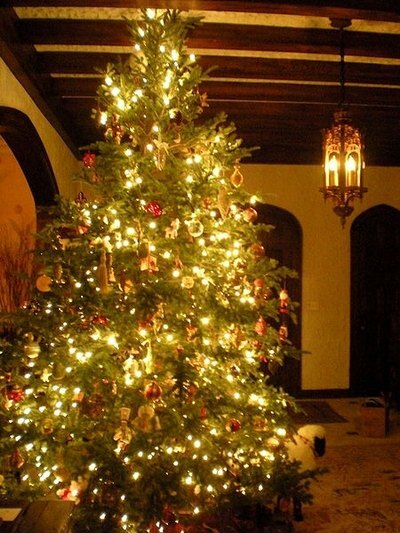 A pre-lit tree is one that is already lighted. Sometimes, a pre-lit tree will actually have a string of lights around it, as if you strung them on yourself. Other times, the lights will be embedded in the branches themselves. 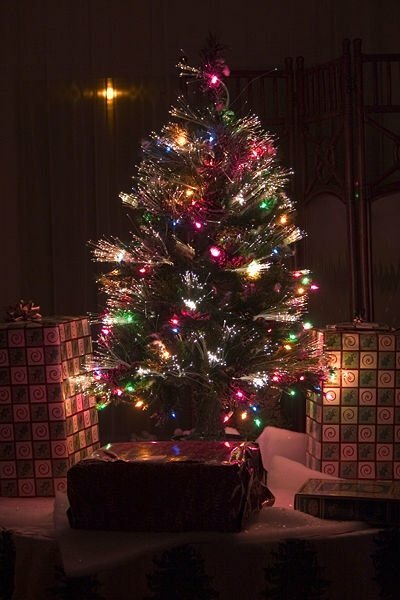 A pre-lit tree can be lit with clear lights, multi-colored lights or lights with one color all around. Pre-lit trees are a major reason artificial trees have grown in popularity. It makes decorating the tree much easier. Fiber-optic trees are lit with fiber-optic strings/cables extending out from the center of the tree with the branches. Usually, fiber-optics are used on table-top trees. They are also usually multi-colored, but can be clear. Artificial trees range in price based on materials. A $100 artificial Christmas tree will likely be made with cheap plastic, sometimes resembling ribbon if high-quality plastic is not used for the needles. The more realistic trees, which can range from $500 to more than $3,000, are made with a molded, quality plastic that feels very close to a real tree, without the hours of vacuuming that comes with one. 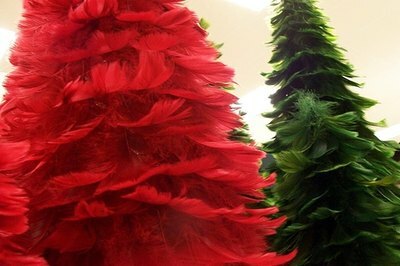 Some artificial trees are made with feathers, which was actually one of the first techniques for making fake trees. The feathers are usually dyed green or another color. What Type of Christmas Tree Is Best for Heavy Ornaments?